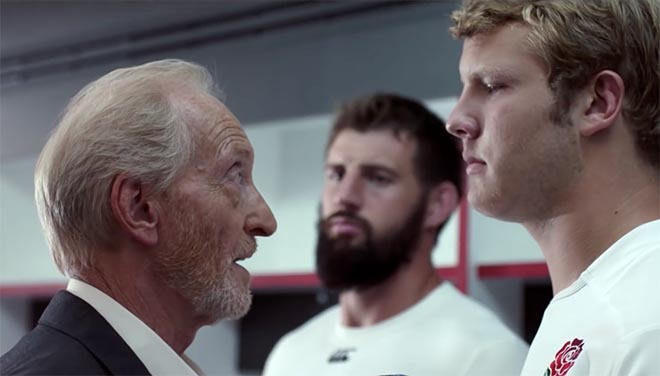 England Rugby 2015, organising committee for Rugby World Cup 2015, has launched ‘the ultimate team talk’ to kick-start the Tournament ticketing campaign. 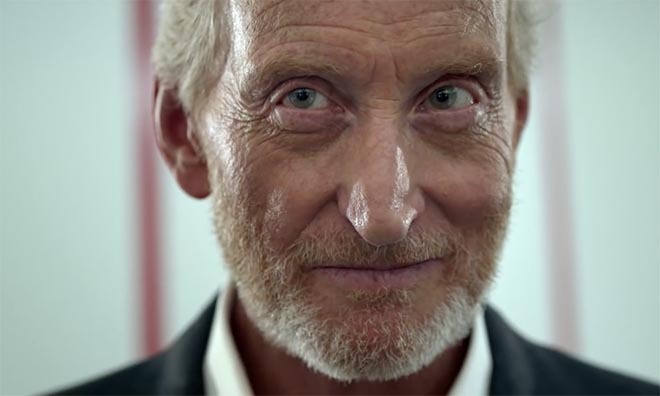 Actor Charles Dance, known for his role in Game of Thrones, delivers the ultimate team talk in the Twickenham changing room, talking up a crowd including rugby stars Dylan Hartley, Joe Launchbury, George North, Alun Wyn Jones, Martin Johnson, Scott Quinnell, Lawrence Dallaglio, Serge Betsen and Sir Ian McGeechan along with fans, mascots, a referee, ground crew and representatives of the British public. The commercial introduces the Rugby World Cup 2015 ticketing campaign strapline ‘Too Big To Miss’, continued in an integrated marketing and PR campaign, including a mix of regional, national and international print, digital, outdoor, social media advertising, and a city dressing programme in each of the 11 host cities. 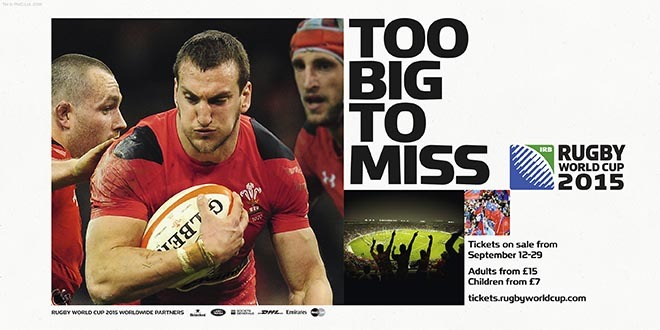 Rugby stars appearing in the film include Alex Corbisiero, Dylan Hartley, Joe Launchbury and Tom Wood (England), George North, Adam Jones and Alun Wyn Jones (Wales), Ashley Johnson (South Africa), Jebb Sinclair (Canada), Halani Alukia (Tonga), Andrea Masi, Lorenzo Cittadini (Italy), David Denton and Matt Scott (Scotland). Joining the players likely to compete for the Webb Ellis Cup, are former Rugby World Cup 2003 winning captain Martin Johnson and his team mates Will Greenwood, Ben Kay and Lawrence Dallaglio, plus legends of Scottish, Welsh, Irish and French rugby: Sir Ian McGeechan, Chris Patterson, Scott Quinnell, Paul Wallace and Serge Betsen. See also Millennium Stadium groundsmen Thomas Sully and Chris Campbell, international referee Wayne Barnes, the Regimental Band of The Royal Welsh, England kit man Dave Tennison, Master Silversmith Kevin Williams, Aston Villa and Leicester City mascots representing two of the RWC 2015 match venues and GB wheelchair rugby player Paul McDerby all appear. 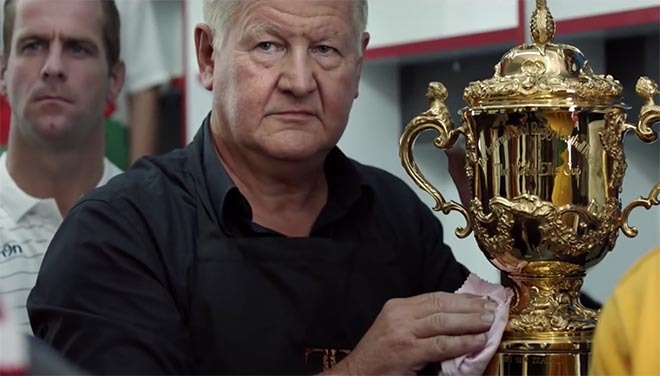 To mark tickets going on sale on September 12, England Rugby 2015 staged a world record attempt at Twickenham Stadium to create the world’s largest scrum. 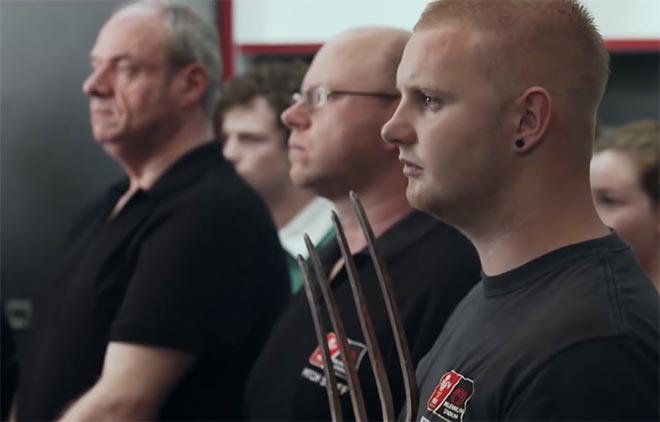 Among the participants, who beat the previous record of 946, were Rugby World Cup winners Piri Weepu, Lawrence Dallaglio and Will Greenwood, Wales Head Coach Warren Gatland, and many other leading players. The Rugby World Cup Team Talk campaign was developed at BBH Sport, London, by creative director Ewan Paterson, creatives Ed Cole and Lewis Mooney, agency producer Davud Karbassioun, agency assistant producer Phil Cross, strategy director Jonathan Bottomless, account manager Dan Gearing, account director Julian Broadhead working with Rugby World Cup marketing team Joanna Manning-Cooper, Zarah al-Kudcy and Sally Newton. Filming was shot by director Peter Cattaneo via Academy Films with director of photography Ben Foresman and producer Juliette Harris. Post-production was done at The Mill. Editor was Scott Cato at The Quarry. Sound was designed and mixed at Wave Studios by Aaron Reynolds.